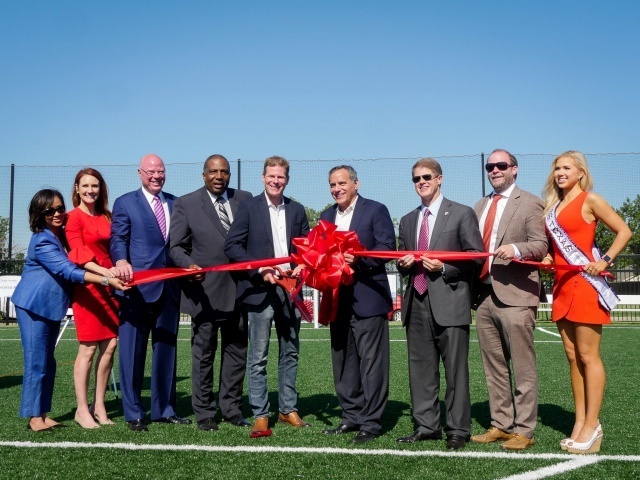 On June 5th at the Mercy Street Sports Complex in the presence of West Dallas residents and young athletes, Mercy Street and its generous donors celebrated the Ribbon Cutting Ceremony of the brand new $1 million football field. Trey Hill, founder of Mercy Street, explains, “When my family and I moved to West Dallas 15 years ago, this land you and I are standing on was lying fallow, like it was waiting to give birth to something great….But that dream would have remained just a dream and the land would have remained fallow had it not been for the generosity of so many people to make the Mercy Street Sports Complex a reality. 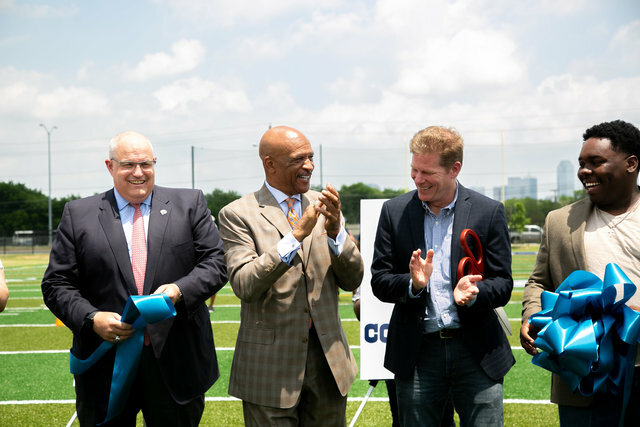 Dallas Cowboys Drew Pearson, Cotton Bowl Immediate Past Chairman Jay McAuley, and LISC Program Director Beverly Smith also spoke at the ceremony. The Dallas Cowboys hosted a football camp and cheerleading camp following the event. Over 150 West Dallas young athletes attended to either practice football drills or learn a cheerleading dance while engaging with former NFL players and coaches and the Dallas Cowboys cheerleaders. Other donors to the field include the Rowling Foundation, Rees-Jones Foundation, Sapphire Foundation, and Rawlings. 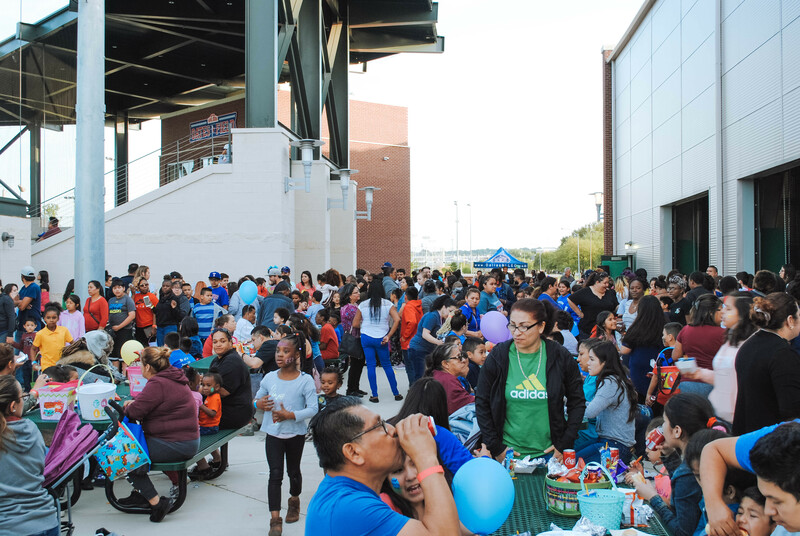 Mercy Street is a 501(c)(3) organization that exists to be used by God to spark Christ-honoring community restoration by engaging in mutually-transforming relationships with the future leaders of West Dallas and beyond. Since 2003, Mercy Street has matched more than 1,100 youth with mentors, launched several microbusinesses for high school students, operated a local bike shop, and registered over 480 young athletes in the spring of 2018 alone.